This foundation is available in a small bottle that?s easy to carry and get that instant perfection right away!. 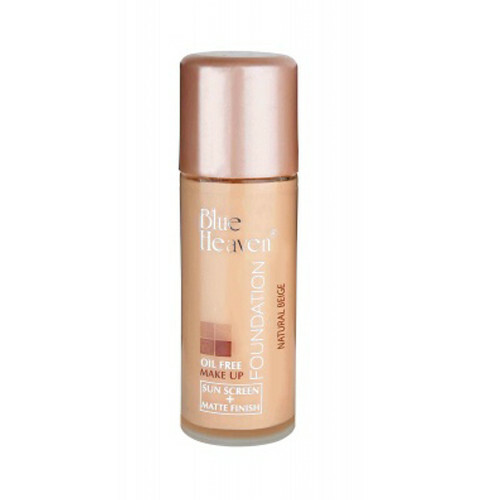 An easy spread, OIL FREE FOUNDATION by BLUE HEAVEN enriched with vitamins and silicones to improve natural structure of your skin. It specially grinded pigments gives high coverage and a flawless velvety matte finish all day long.It is easy spreading, water proof, Non oily formula and enriched with Vitamin E & Sun Screen.This foundation keeps your skin oil free and makes your skin smooth and glowing.